To discover, understand and apply the most profound philosophy of Yoga, which stems from a tradition that exists for several thousands of years, with no changes as it was handed down from one master to another, and yet always suited to the concerned disciple. The reader will feel privileged, having the impression that he is walking alongside the father and the son on their pilgrimages or sitting next to the author on the shore of the ocean at Chennai when he was initiated by his father into the origin of Yoga. For T. Krishnamacharya only spoke about it in special circumstances favourable to the noble nature of the subject: we learn among other things how the excellent disciple Brahma Rathi became the great sage Yājñyavalkya; how Yoga was received from the Sun; how Yoga is a way to recover our potential for contemplation; how the body can be an instrument to know the Creator or the God; what are the foundations of existence and the concept of Prāṇa. And at the same time this book speaks of one precious thing, of a richness rarely revealed: the origin of a precise science which addresses itself to our body, our mind and our soul. The author's need to remain faithful to his heritage is the strength of this book. T.K. Sribhashyam is the son and disciple of Sri T. Krishnamacharya. Both come from a lineage in which knowledge has been transmitted for 20 generations without interruption. Since T.K. 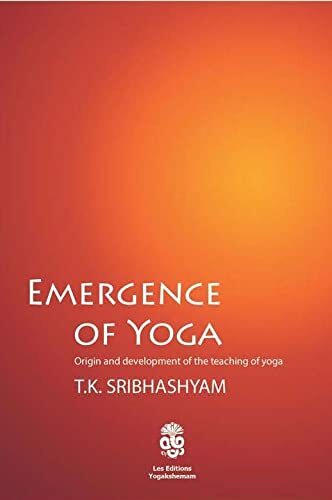 Sribhashyam himself begun to teach in 1956, this book offers the treasure of his rich experience and of his nearly sixty years of professorship, and is a fount of knowledge and a genuine Yoga compendium. T. K. Sribhashyam teaches yoga in France and Europe since 1970. He is the founder of the Yoga Teachers' Training School, Yogakshemam.